Home China Where do Shanghai’s Property Taxes Fit into China’s Economic Jigsaw Puzzle? Where do Shanghai’s Property Taxes Fit into China’s Economic Jigsaw Puzzle? While the continued upward path of the Shanghai stock market has featured regularly in the world’s media, the city’s real estate market has not received so much attention. 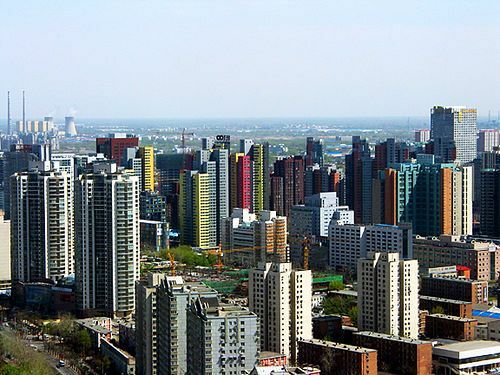 Nevertheless, property in China’s largest city is undoubtedly part of the boom and the web of economic dilemmas facing the Chinese authorities. The latest efforts to curb real estate speculation have resulted in the introduction of a 20% tax on second-hand property sales. One explanation given for the increase is the authorities’ desire to prevent a speculative bubble in real estate fuelled by profits from the stock market. Another, more plausible reason is that the lure of the stock market is so great that people are selling property in order to finance speculative investments. This tax hike should certainly be seen in the context of Prime Minister Wen Jiabao’s general efforts to decelerate the juggernaut of the Chinese economy. Whether the Chinese authorities will prove able to harness the economy in general is open to question. The risks of making a definite decision on exchange rate increases seem so great that they are left with an array of tools for fine-tuning different parts of the economy. What the foreign investor in Chinese property needs to remember is that these measures tend to be piece-meal (possibly affecting one part of the country only – as with Shanghai’s tax) and they seem to come and go fairly rapidly. The situation in Shanghai is a good illustration of this; almost exactly two years ago saw a raft of measures – a 5% sales tax on properties sold within two years of purchase, a tax raise on luxury homes, regulations to curb LTVs, restrictions on second mortgages – all designed to dampen real estate speculation in the city. There was a temporary dropping off in prices but the underlying situation remained unchanged; too much foreign exchange has been flooding into China owing to its enormous trade balance and this is leading to inflation in asset prices, real estate included. Other recent changes (8th June) to the climate for property investors have been new regulations to curb foreign investment in property through the takeover locally owned real estate concerns and efforts to clamp down on corruption in Guangdong province involving no less than 10 different government departments. The latest economic news from China is of surging industrial production in the most recent 12-month statistics and calls by Wen Jiabao for interest rate increases. This in turn has led to a drop in the stock market and it’s worth noting that the biggest fall was experienced by China Vanke, the nation’s largest property developer. Generally speaking it looks as if Chinese real estate correlates with equities substantially and shares the risk of the bubble bursting. The specific regulatory measures being used to control the situation are different for property but the risks are similar. Possibly the one important difference is the enormous low-cost housing shortages in the biggest cities. If the central and local governments can accelerate housing developments for the masses, there is the possibility that this might have a cooling effect on the housing market as a whole (and incidentally increase construction costs in the process).